Free Stuff - Diversity Lesson Plans, Word Searches, Vocabulary Word list, Mazes & more. "This new fable helps children understand the value of friendships and respectful behavior. Children learn we all have special qualities, regardless of what we look like. It's a wonderful story for parents and educators to share with children of all ages." "If you are seeking an inspirational and entertaining story to help children learn to accept differences, in themselves and others, and to discover the true value of friendship, “Patulous” delivers. This is an extremely useful tool for promoting harmonious relationships and eliminating bullying and prejudice." "By the end of Patulous's metamorphic journey, the reader is reminded 'different' may really be 'unique' and affirms the richness life holds for those who are open to diverse cultures." 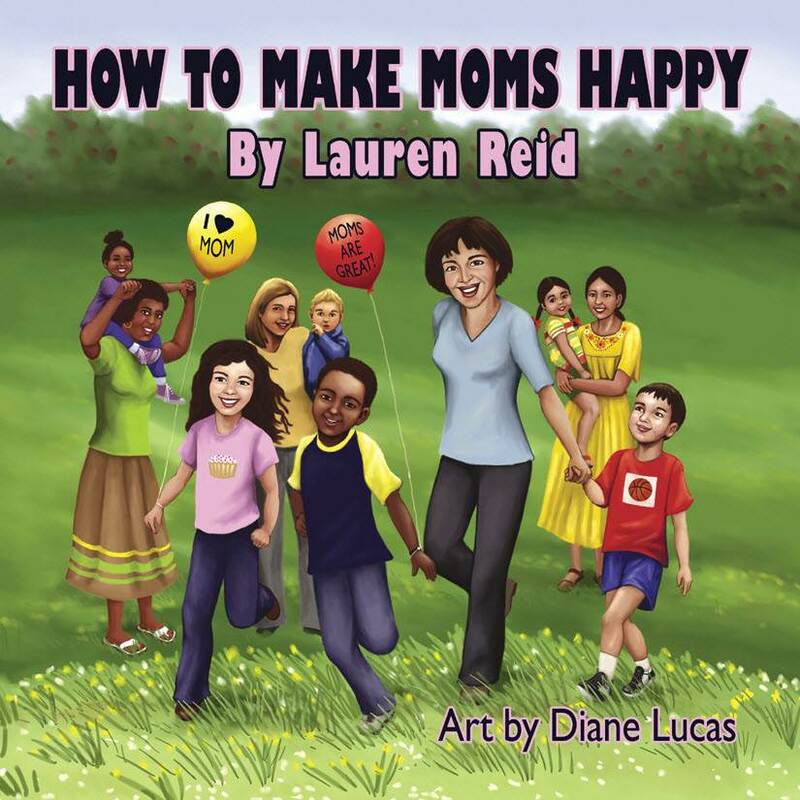 Announcing our new book, How To Make Moms Happy ~ available at Amazon. This beautiful picture book by Lauren Reid is a fun, heartwarming, and culturally educational read. Taking children on an excursion around the world, it shows children expressing their love and appreciation for their moms and treating them with tender loving care. Depicting many of the simple gifts, kind thoughts, and little luxuries mothers enjoy, the illustrations by Diane Lucas include international flags that both young readers and their moms will delight in identifying. This book makes the perfect gift for Mom on her birthday, Mother’s Day, or a just because I Love You Day! Endorsement from Kristi Wright, author of The Basker Twins ~ "I love this book! It's as if the United Nations meets Mother's Day in a wonderful, warm-hearted excursion around the world showing children treating their moms with tender loving care. As an added bonus, young readers learn to recognize flags from around the world as they search for the hidden flags on each page."